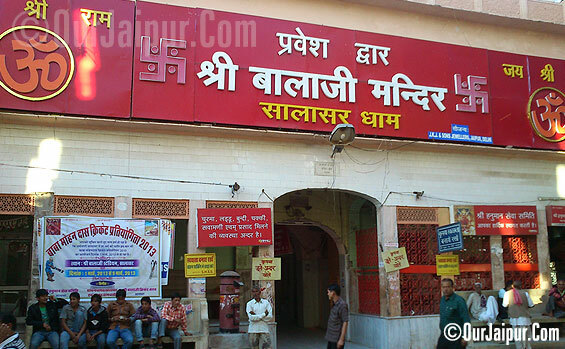 Salasar Balaji Temple or Salasar Dham is 170k.m. 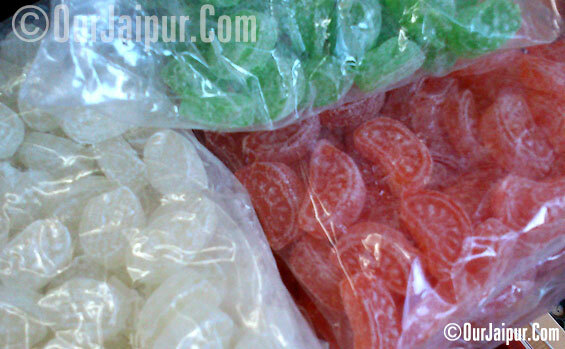 from Jaipur it is world famous for its Hanumanji Temple (The Monkey God). Salasar Dham attracts millions of Devotees from around the world throughout the year. There was a small village Asota in district Nagaur (Rajsthan). The day was Saturday -samvat 1811, Shravan Shukla-Navami. A Jat farmer was ploughing his field. All of sudden the plough was hit by some story thing and the sound - Thlikk ... was created. He dug that place and found and Idol covered with sand. His wife reached their with his lunch packet. He showed the idol. 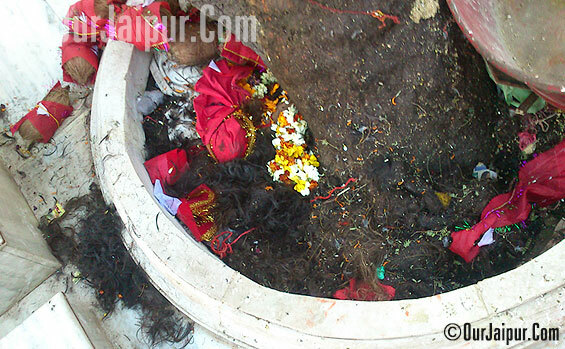 She cleaned the idol with her sari (dress) and the idol of Lord Balaji (Lord Hanuman) was appeared. They bow their head with devotion. The news of appearance of Lord Balaji spread in the village Asota immediately the Thakur of Asota also heard the news. At the same night a devotee of Lord Hanuman, Mean Das of Salasar saw Lord Hanuman or Balaji in dream. Lord Balaji told him about the idol of asota. He immediately send a message to Thakur of Asota. The thakur became surprised - How Mohandasji knew minor details without coming Asota Certainly it was a kindness of Lord Balaji .The idol then sent to Salasar and was fixed there. That is now Salasar Dham. 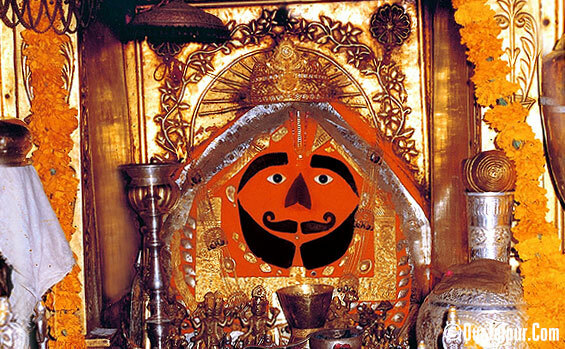 Sri Hanuman Jayanti (Chaitra Shukla Chaturdashi and Purnima). Ashwin Shukla Chaturdashi and Purnima. Bhadrapad Shukla Chaturdashi and Purnima. All three of these festivals are attractive and attracts lakhs of Devotees from around the Country. How to Reach and what to Expect. 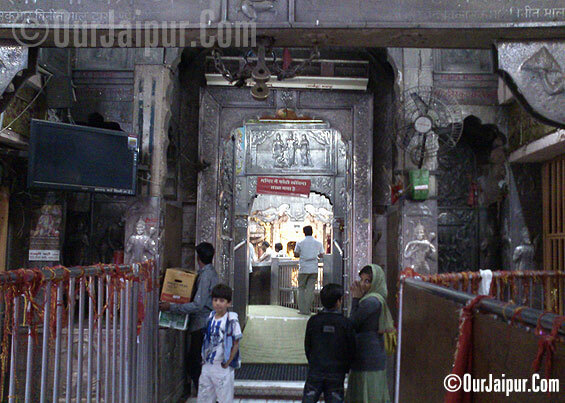 Salasar Dham is well connected with regular bus service from all the nearby cites, but i will say the best and most comfortable way is to take a car from Jaipur and head towards Salasar after a heavy breakfast. Way to Salasar Dham from Jaipur is – Jaipur, then take Chomu bypass, then Ringas, Palsana, Ranoli, Goria, then take Bikaner bypass before sikar it will connect you to Salasar Rd. Which will take you to Salasar Dham. 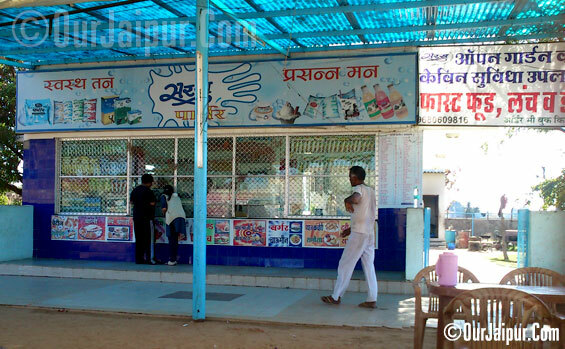 Its around 3hr Journey so if you want to stop for some Chach (butter milk) then there is a Saras parlor just after crossing the Palsana on right side towards Salasar, it gives you very good freshly made Chach (Buttermilk) and some snacks too. At Salasar Dham there are many well maintained Dharamshalas and few Hotels but dont expect too many varieties of food but you can get a decent meal. 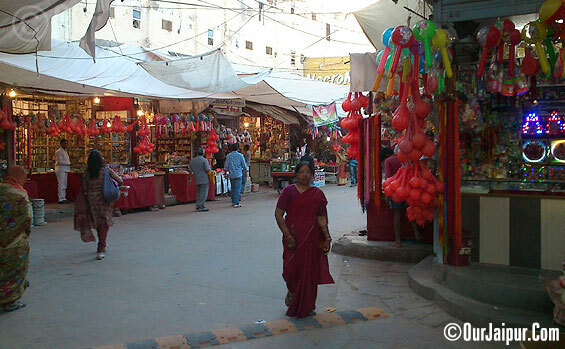 After the temple and enjoying the Market you can take your way back to Jaipur. Mostly people do this only they make it a Day trip. 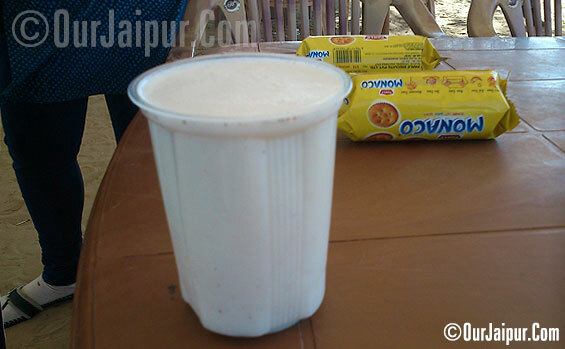 But remember There are no Liquor shops in Salasar but on the way back you can find some but the choices of drinks are limited, If you are particular about your brand then carry it with you. On the way back you can find many Dhabas around Ringas so you can have your Dinner there, or if you have time in your hand you should have your dinner at Sharma Dhaba just before Jaipur but keep in mind it Closes at 11:pm. So plan accordingly. Saras parlor after crossing Palsana. 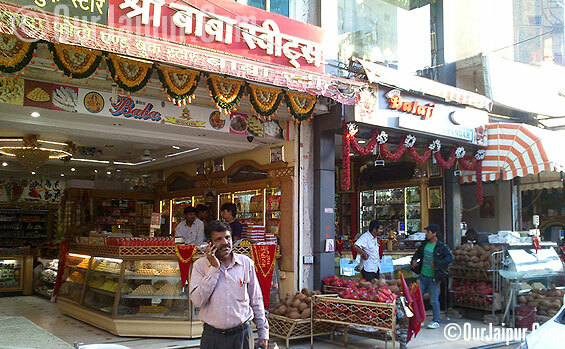 There are many Sweets shops there to take Prashad from. I would suggest Dal ki Chakki. 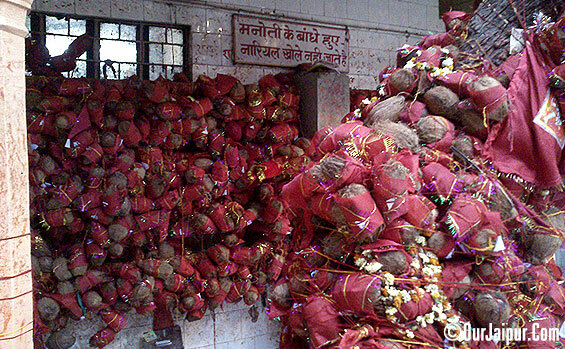 This is a Place where you tie these Coconuts wrapped in red cloth. It is said that doing this will make your wishes come true, you can buy these coconuts outside from the sweet shops they sell them with sweets. 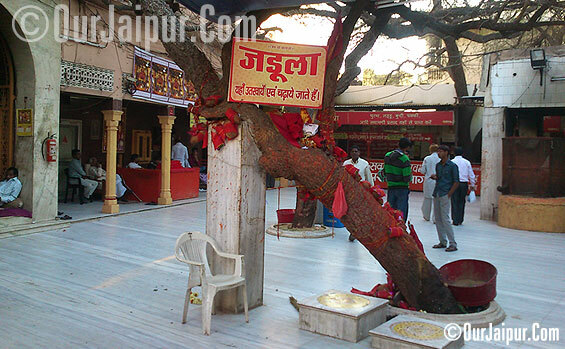 Jhadula Tree, Devotees come here and offer the hair of their newly born here. By shaving their heads here only. 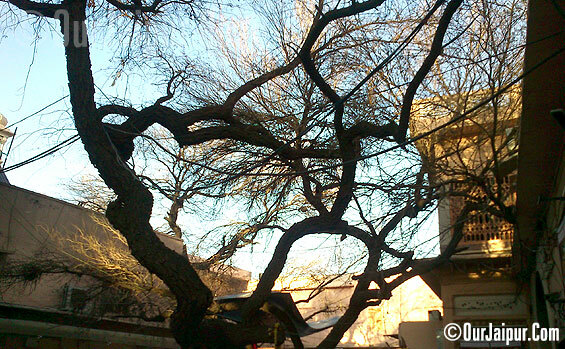 This is a tree in the compound of Salasar temple. In next Image you will understand why I put this pic here. 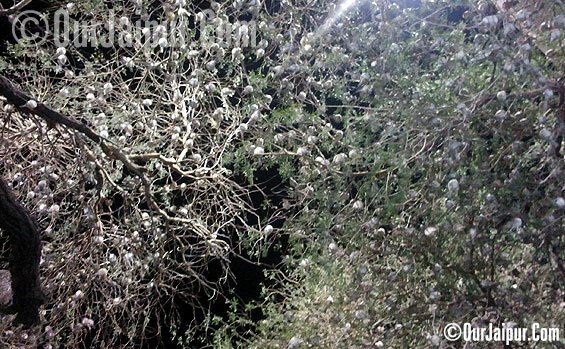 In night the same tree becomes home of Thousands of Birds. 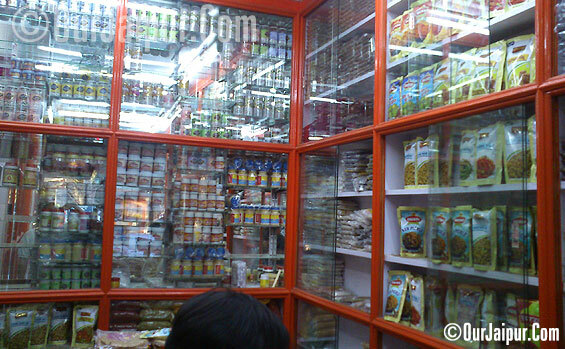 Spices Shops around the Temple. 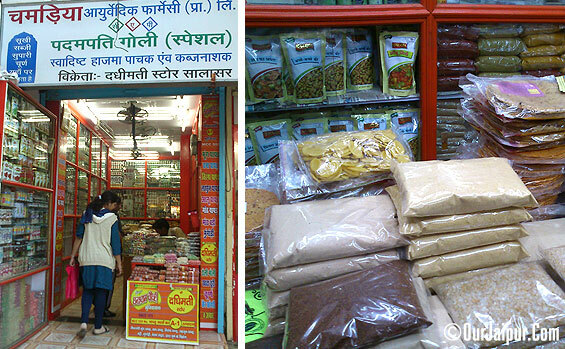 You can get many kind of Local spices, Pickles and many more things here. 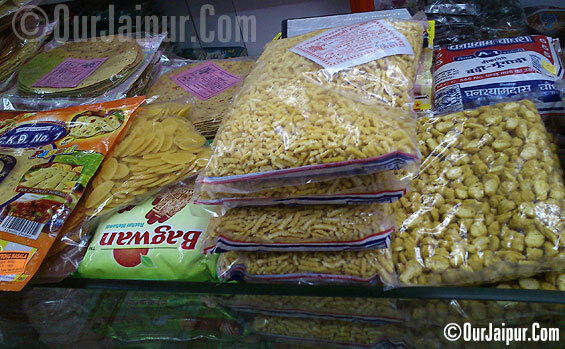 Papad, Bhujiya, Mangodi and so on. 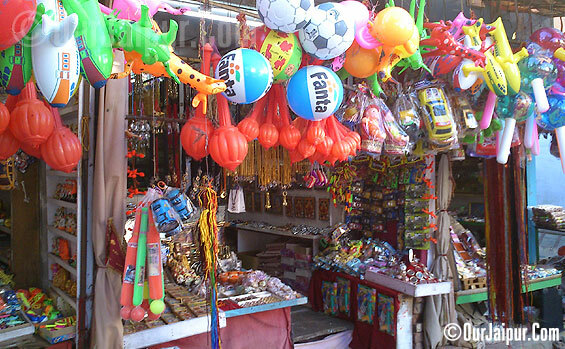 . . . .
Shops filled with toys and Souvenirs to take away. बहुत सुन्दर प्रस्तुति! जय बाला जी. Bolo Salasar Balaji ki Jai !! Very informative post !! thank you for sharing !! Excellent post. Jai Salasar Balaji.